A number of states require insurance brokers to obtain surplus lines broker bonds if they want to offer surplus lines to their customers. The goal of the surety bond is to protect the state and its citizens from any potential fraudulent actions or misuse that the broker might engage in. In this sense, the bond guarantees that your brokerage will abide by all applicable state regulations in its dealings. Just like other surety bonds, your surplus lines broker bond is a contract between three parties. 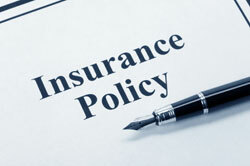 Your insurance brokerage is the principal that is required to get bonded. The state authority that imposes the bonding requirement is the obligee. Finally, the surety is the entity that underwrites the bond and backs your company financially. Who needs to obtain a surplus lines broker bond? How much does a surplus lines broker bond cost? How do I get my surplus lines broker bond? How are bond claims handled for surplus line broker bonds? If you’re an insurance agent who wants to offer surplus lines among your services, in several states across the U.S. you will have to post a surplus lines broker bond. The states that require this bond include California, Virginia, Alabama, Florida, Kentucky, Ohio, Rhode Island, Maryland and Georgia, among others. Before you start your brokering services, it’s best to check with your local licensing authority about whether you will need to obtain a bond. The bond price that you will have to pay is based on the bond amount that you need to provide to get licensed. The bond amounts vary greatly between the states that require surplus lines broker bonds, so you need to check the exact bond amount with your state authority. The table below offers information on the bonding requirement in a number of states. On the basis of the bond amount, your bond premium is set as a percentage of it. This is the actual bond price you need to cover. Standard bonding applicants can expect rates in the range of 1% and 5%. For a $50,000 bond, your bond premium is likely to be anywhere between $500 to $2,500. How is your surplus line broker bond cost set? When you apply with your surety, it will examine your personal credit score, business finances, and assets and liquidity. It may also consider your professional experience in the industry. If your overall profile is solid, your bond premium will be lower, as your bond will considered less risky. You can get a complete picture of how your bond price is set on our surety bond cost page. Getting your surplus lines broker bond with problematic finances can be tough. Lance Surety Bonds experts operate our Bad Credit Surety Bonds program to help insurance brokers with low credit scores, tax liens, bankruptcies, or civil judgements get the bond they need. The typical bonding premiums for bad credit applicants are between 15% and 17%. Even though the cost is higher, you are guaranteed a top bonding rate with us. We foster close partnerships with numerous A-rated, T-listed surety companies. Because of this, we can shop around and find the best bond option for you. Are you ready to start your bonding process? You can apply online today for a free surplus lines broker bond quote. If you’d like to get an exact bond price, you can complete the full application online and attach all needed paperwork. If you need further details about the bonding process, you can check out our How to Get Bonded page. Any questions? Just call us at (877) 514-5146. Our bonding specialists are here to help with any issues you might have with bonding or your application. As surplus lines broker bonds are not insurance for your business, you should be careful not to get a claim on the bond. This can happen in case you transgress from your obligations under the bond that require you to follow all applicable state regulations. If you have a proven claim, your surety will need to reimburse the claimants up to the penal sum of the bond. Afterwards, you are liable to repay it in full. Claims can thus turn into a serious financial burden for your brokerage. Additionally, a claim can make it difficult for you to get bonded at a later time. The best course of action is to avoid claims as much as possible.